Tadiran Telecom solutions are well recognized as the reliable and flexible choice for the hospitality industry. With a vast array of telephone terminals, ranging from standard single line phones, to display phones and softphones, Tadiran UC&C solutions provide demanding travelers with multiple features, staff with transparent administration, and everyone with ultimate ease-of-use. Front Desk: The Aeonix UC&C provides full integration with property management systems (PMS) such as Opera-Fidelio and Silverbyte which expedites the check in/check out process and facilitates personalization of features for the guest. Guest Voice Mailboxes, Wakeup Calls, Group Wakeup Calls and Do Not Disturb features are also supported and can be programmed either at check in or on demand. Guest Rooms: The Aeonix UC&C VoIP solution enables voice paging to individual SIP phones, groups of phones or all phones, enabling the hotel staff to quickly relay life saving instructions in an emergency situation. For executive suites the Aeonix also supports high quality video conference business phones. Housekeeping: The Aeonix UC&C provides Room Status update from the telephone in the guest room to better monitor room set-up process, daily housekeeping, expedite the check-in and improve customer satisfaction. 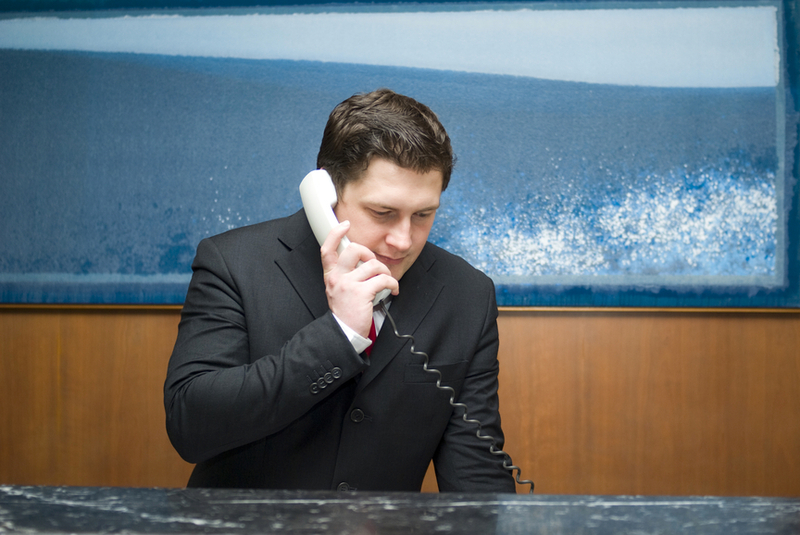 Sales & Marketing (Reservations): The hotel reservation center is supported by the Aeonix Contact Center solution. The Aeonix Contact Center solution is an integral extension of the Aeonix infrastructure. It integrates seamlessly with existing databases and Customer Reservation Systems (CRS) packages and allows real time, proactive, online management of single reservations and group orders. Simple configuration and management of the Aeonix infrastructure differentiates the product from competitive solutions and gives customers the ability to focus on growing their businesses and meet market demands. Business Lounges and Meeting Rooms: The availability of a fully equipped executive conference room is one of the criteria business executives use to choose a hotel. The Aeonix Hospitality Solution supports advanced video and audio conferencing capabilities which support multi-participant online meetings and training sessions. Finance: The Aeonix Call Accounting application offers a comprehensive approach, providing hotels with the ability to manage their communications environments and associated costs by determining usage throughout the hotel. The Aeonix Call Accounting modules are aimed at reducing enterprise communications costs, increasing visibility and maximizing staff resources. The Aeonix Call Accounting also provides hotels with usage visibility and budget management capabilities, enabling the hotel to collect and analyze call records from multiple sources and create associated invoices. This means reduced enterprise costs, thanks to chargeback visibility. All the information is backed up and can be easily recalled on demand. PMS Integration: DuVoice enables Tadiran to provide best of breed solutions for all hospitality applications. DuVoice solutions include PMS interfaces that provide Aeonix the full capability to integrate with a wide range of Property Management Systems (PMS) products such as Hilton OnQ, Agilysys, Springer Miller, Timeshareware, Amadeus, Softbrands and all other common PMS products.